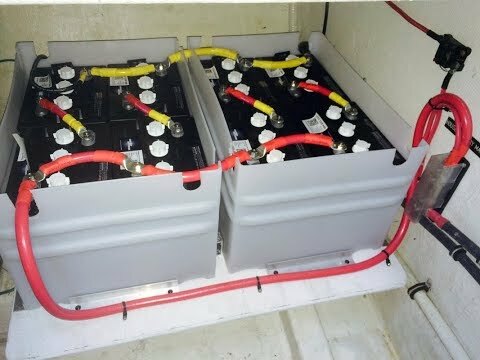 By far the most prevalent battery type commonly used by boat electrical system designers remains lead/acid chemistry based. The chemical reaction, lead sulphate being converted into lead and lead oxide, takes place on the surface of the plates. 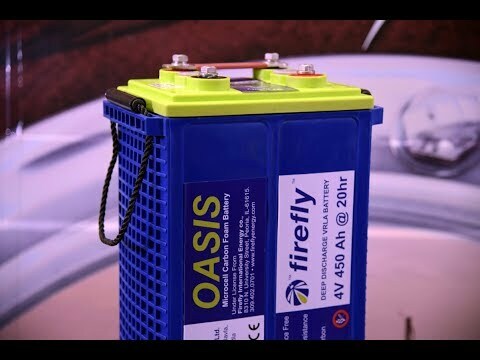 The amount of exposed surface area, diffusion rates, and the time required for the reaction to complete form the basis for the internal resistance (IR) of the battery, or battery bank. 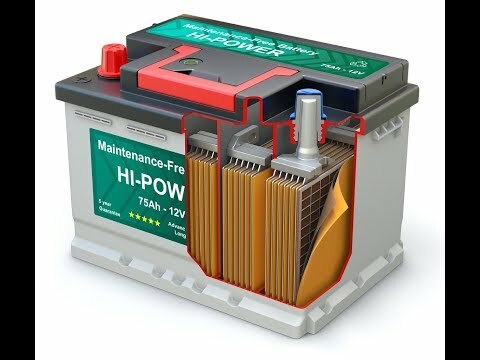 The IR of any battery or bank of batteries is specific to the battery or bank, but some generalizations are necessary to mitigate overcharging, which can have disastrous consequences. The general rule of thumb is the 25% to 30% of bank capacity will allow for effective replenishment of a flooded lead/acid bank. 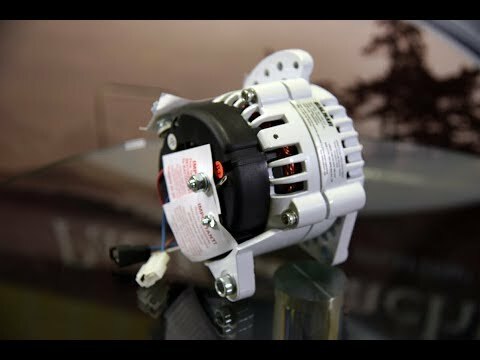 Therefore, if the battery bank is 300Ah @ 20hr rate, then a 75A to 100A charging source would be considered prudent. 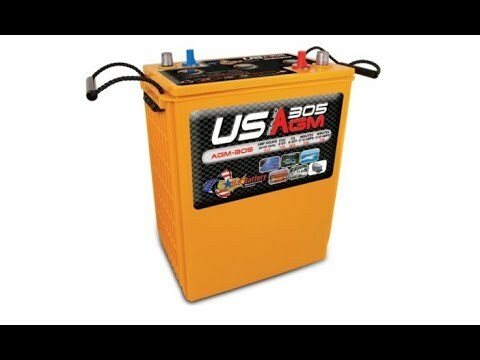 AGM (absorbed glass mat) lead/acid batteries have a slightly higher diffusion rate, and can therefore be charged at slightly higher rates, but it is important to have precise voltage regulation with AGM batteries, as they are irrecoverable if overcharged. 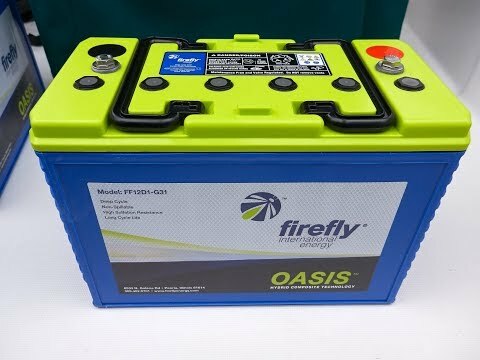 Lithium Ion, more specifically Lithium Iron Phosphate technology batteries are not as limited to fractional charge rates as more conventional lead/acid batteries. 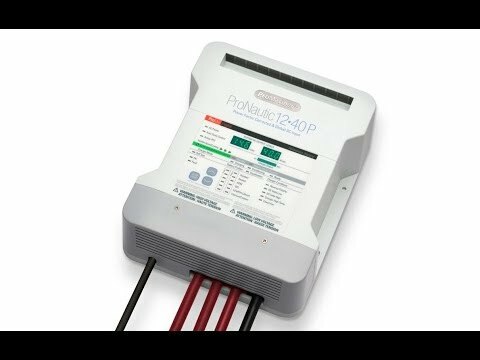 However, Li Ion batteries have extremely narrow margins for charge voltages, and most importantly charge cut off protocols, so they cannot be charged by conventional charging sources, unless they are explicitly designed to encompass Li Ion battery charging regimes.